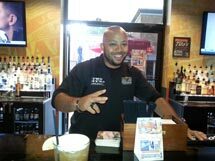 Meet AJ, Cleveland Bartending School alum showing his skills at the place that has the coolest name ever TWO BUCKS. 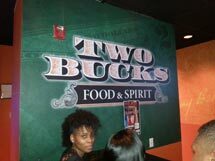 Yup you guessed it, most drinks are two bucks! Tasty value!